The theatre has a licensed bar which is open before and after the performance. 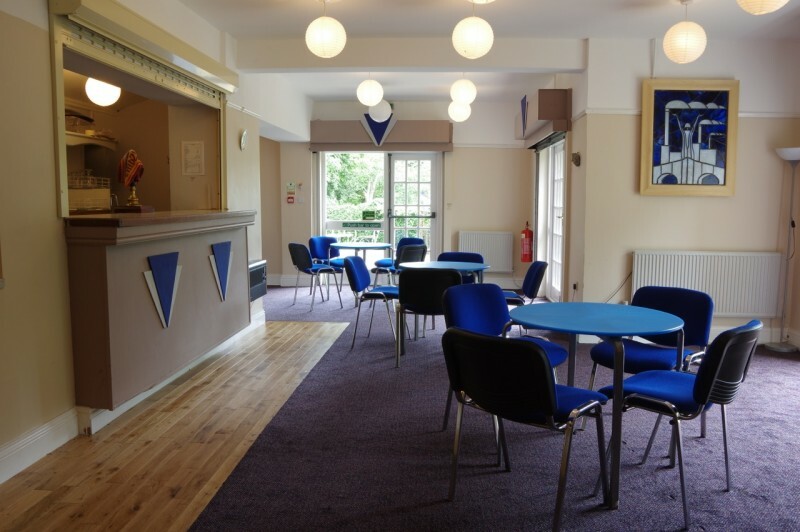 Coffee, tea, ice cream, sweets, alcoholic and soft drinks are available and interval drinks from the bar can be ordered before the show. The theatre enjoys an attractive canal-side location and drinks can be taken out onto the patio in good weather. The photograph shows the bar fully restored after the Boxing Day flood, December 2015. Further improvements to the patio are in the pipeline.